Undoubtedly, Kanpur is a significant tourist spot in Uttar Pradesh. It is home to several ancient places in the form of temples, forts and other monuments. But how about taking a break from Kanpur this weekend and finding yourself within the boundaries of Varanasi? Located on the banks of the river Ganga, Varanasi is believed to be one of the oldest inhabited places in the world, and hence it wouldn't be wrong to say that Varanasi has seen India growing. After all, it has a history stretching back to thousands of years. It is mostly popular for its relaxing river ghats, ancient temples and other historical monuments. Let's move ahead and read more about its attractions and how to reach it from Kanpur. Lying in a belt of an extreme climate, Varanasi experiences hot summers, and hence it is not a preferred tourist spot during the summer season. The appropriate time when one can comfortably explore its ancient sites and sit conveniently at its river ghats in a pleasant weather is from October until the end of March. By Air: There is no direct flight from Kanpur to Varanasi, and hence it is better to look forward to rail and road options. By Rail: Varanasi is well connected to Kanpur and other cities and towns by rail. You can take a direct train from Kanpur Central to Varanasi Junction. This train journey will take an approximate time of 7 h 30 min. By Road: Being one of the significant cities in Uttar Pradesh and an important tourist spot in the country, Varanasi has a commendable system of roads and is easily accessible. On your way, do not forget to take a break at Allahabad, now officially called Prayagraj, and witness its ancient marvels. Allahabad is located at a distance of about 121 km from Varanasi and 203 km from Kanpur and is an ideal destination to take a break. Like Varanasi, it is also one of the oldest living places on earth. It is popular amongst tourists for its ancient places and as the land of the confluence of the three holy rivers, namely Ganga, Yamuna and Saraswati. Therefore, the city is considered as a site of great religious importance amongst Hindu devotees. It is here where the great Kumbh Mela is held once in every 12 years. The major places to visit here include Triveni Sangam, Khusro Bagh, Allahabad Fort, Anand Bhavan, All Saints Cathedral and Allahabad Museum. Varanasi is located at a distance of about 331 km from Kanpur and is one of the few places that should be on the bucket list of every traveller. It is one destination in India that can teach you a lot about the age-old history and culture of the country. It is here where you can learn in detail about how India grew over a period of time. Following are the major places you must visit while in Varanasi. One of the twelve Jyotirlingas in India, Kashi Vishwanath Mandir is a significant pilgrimage site amongst Hindus and is visited by millions of devotees and tourists every year. Even though exact history of the temple is still unknown, it is said to have been established thousands of years ago. Therefore, you cannot miss visiting this ancient marvel of India. Believe us, a visit to Kashi Vishwanath Mandir in Varanasi is going to be a memorable experience. Varanasi is home to hundreds of temples. Apart from Kashi Vishwanath Mandir, the most prominent ones include Bharat Mata Mandir, Shri Vishwanath Mandir, Durga Temple, Dhanvantari Temple and Sankat Mochan Hanuman Temple. All these temples are set to amaze you by their divine atmosphere. 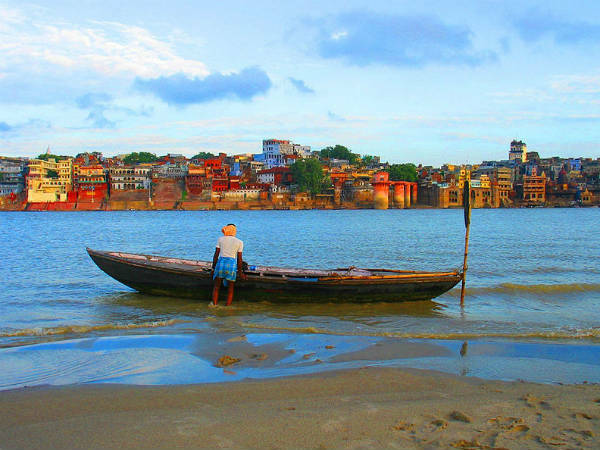 Your trip to Varanasi is, undoubtedly, incomplete without exploring the beauty of its wonderful ghats. These ghats are known for their historical, natural and religious significance. These are the places which define the beauty of Varanasi and it is here where you can witness the grand Ganga Arti every day at the time of dusk. The city is said to have 88 ghats and the most prominent ones include Assi Ghat, Manikarnika Ghat, Darbhanga Ghat and Dasaswamedh Ghat. Apart from the above-mentioned tourist attractions, you can also plan a visit to the marvellous Jantar Mantar, Ramnagar Fort, Ashoka Pillar, Mahatma Gandhi Kashi Vidyapith, Tulsi Manas Temple, Gyanvapi Mosque and Alamgir Mosque.